When visiting Dusseldorf Airport, you can book a per-hour car rental with driver from 2 hours/day and more. Meet and Greet service, offered by our company, will significantly simplify the meeting in the airport for the newcomers. Using a "car rental with driver" service you can vesit the places of interest, famous shops or outlets to do some shopping near the city, saving your time in this way. Dusseldorf Airport chauffeur service offered by our company will cost you much cheaper to order a car rental with driver with us than to hire a taxi driver. To book the economy car or minivan with chauffeur or a comfortable premium class car, coach, shuttle bus up to 50 seats, please choose the button. Per hour rental in the left upper corner of the page, write in the [Departure:] field the departure point and number of hours. 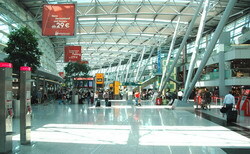 Dusseldorf Airport is one of the most important German airports, hosting thousands of visitors and transit passengers daily. Many airlines such as Lufthansa, AirBerlin, Eurowings, Germanwings and PrivateAir placed here their bases. There are more than 50 shops and boutiques offering a large range of different goods, along with TaxFree shops. Passengers can wait for their flight in one of the halls with free Wi-Fi zone; they can use the shower if needed, reed a daily newspapers, watch TV, ecc. 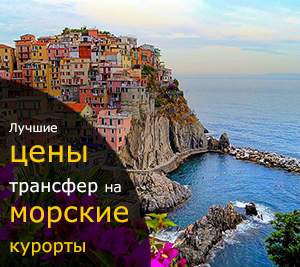 The taxi rate to get from the city to the airport or from the airport to the city center is about 2 euro per 1 km. 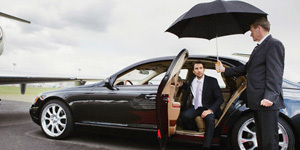 Nevertheless, there is a better option – you can book a private transfer from the KnopkaTransfer Company. In this case, the driver will be waiting for you at the terminal holding a meeting board with your name and will accompany you to the car. You can book either premium class car, or an economy class car, as well as to take minibuses up to 24 seats just online from our website avoiding the queues and saving your money.